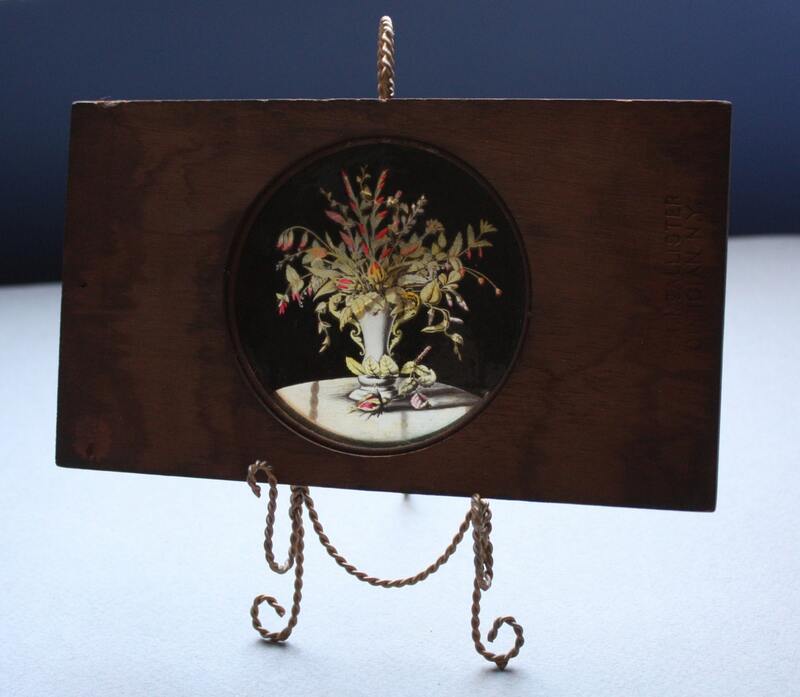 **Please note that the wire holder is only for display purposes and is not included in the sale of this lantern slide. 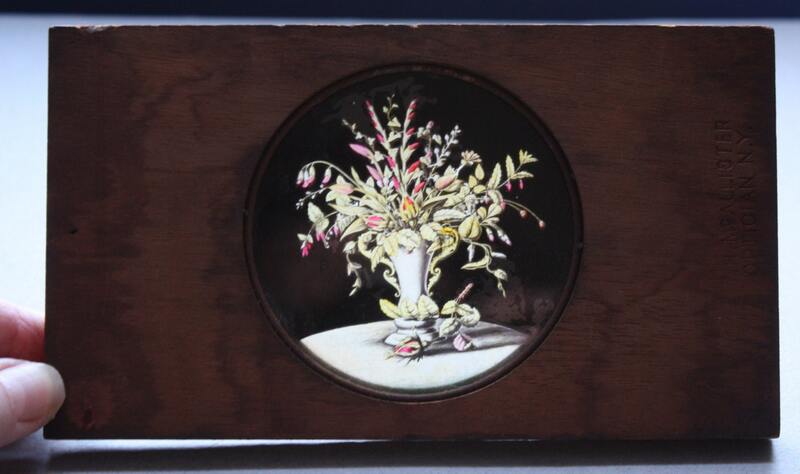 This floral magic lantern slide is circa late 1800s and was produced by T.H. McAllister, an optician based in New York. Some slides weren't mounted as this one is but only existed as a sheet of glass. 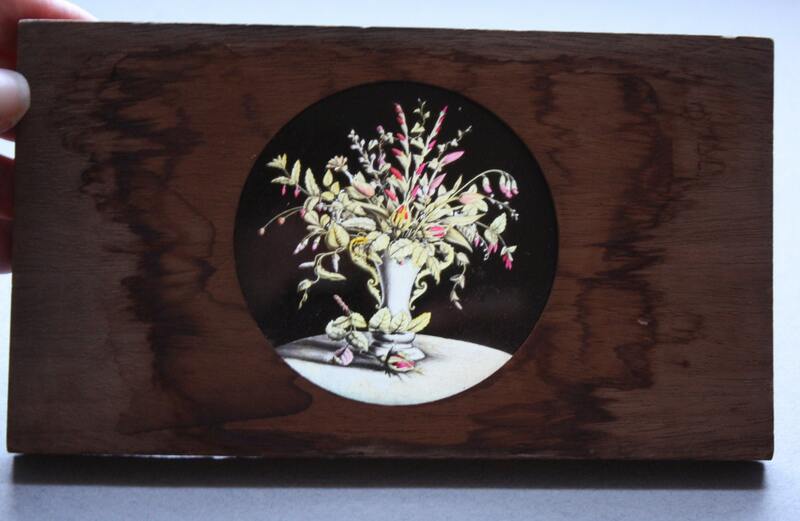 The wooden frame is 7" x 4" and the circular opening is 3.25" across. This slide is one in a series of "Dissolving View" slides known as "The Magic Bouquet, Buds." Thank you to https://www.luikerwaal.com/newframe_uk.htm?/merk_mcal_uk.htm for the extensive information on magic lanterns and magic lantern slides. The piece is best viewed as one would observe stained glass, without anything behind it and against a well lit surface such as a window.